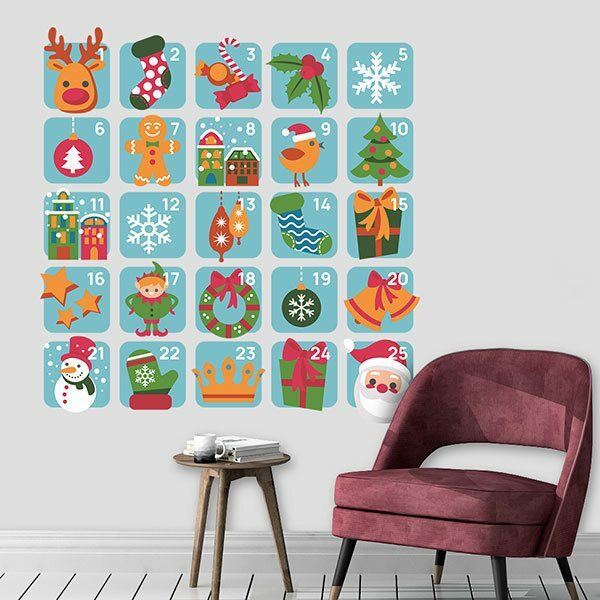 Kids wall sticker Advent Calendar. Complete calendar of icons with the countdown to Christmas. 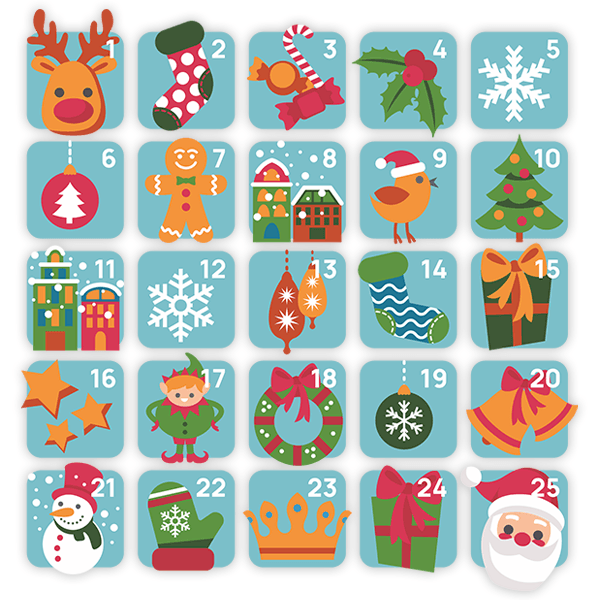 Accompanied by the most characteristic Christmas drawings, from the 1st of December until the 25th, the children will be able to control the remaining time for Christmas. Size: 34 x 43 cm. 14.96 x 15.75 in. 18.50 x 19.69 in. 22.44 x 23.62 in. 26.38 x 27.56 in. 29.92 x 31.50 in. 33.86 x 35.43 in. 37.40 x 39.37 in. 41.34 x 43.31 in. 44.88 x 47.24 in. 48.82 x 51.18 in.